Yes, I have already received an ARC of Delerium, but now I have a beautiful beautiful hardback! I must say, I wasn't much of a fan of the cover until the hardback arrived. It's just gorgeous! And this book is amazing! Review here. I love the cover for this book, but I'm not sure if it's my thing or not. Wasn't really a fan of the Georgia Nicholson books, but I may give this a go. Lots of short stories! This actually sounds pretty good, I'm looking forward to reading it! This sounds really spooky, but everyone was raving about it, so I may give it a go. During the day. One for 2011 Debut Author Challenge. I'm not sure about this one, it sounds kind of young. Everyone raved, though, and it's for fans of Harry Potter, so I'll give it a go. We were also given a really cool notebook (the completely green book in the photo) which is nice! Another for the 2011 Debut Author Challenge. This book is based on a true story. I'm really not sure about it. Doesn't sound like my thing. 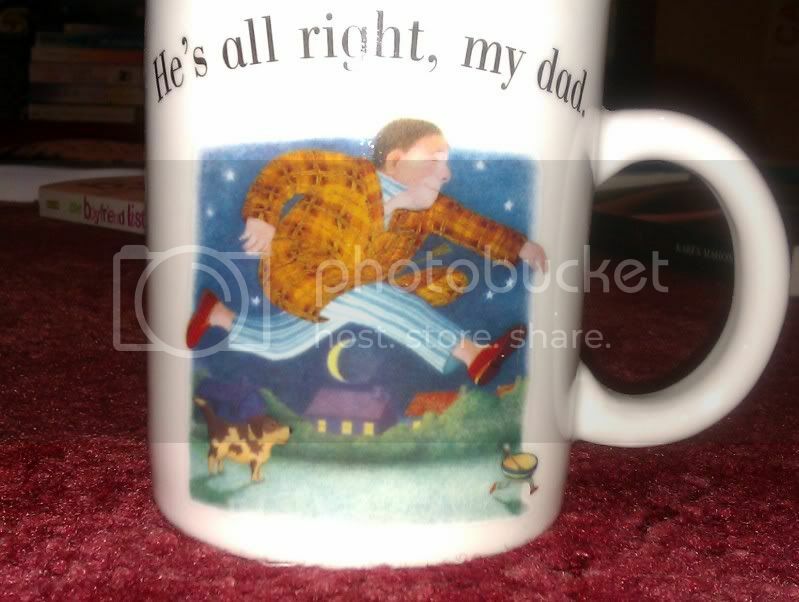 We were also given this really cool mug promoting My Dad by Anthony Brown, a children's book. Cute, huh? Turns out I already have this according to Goodreads - whoops! I didn't realise. Too many books! But it does sound amazing! I have wanted to read The Boyfriend List for aaaages! 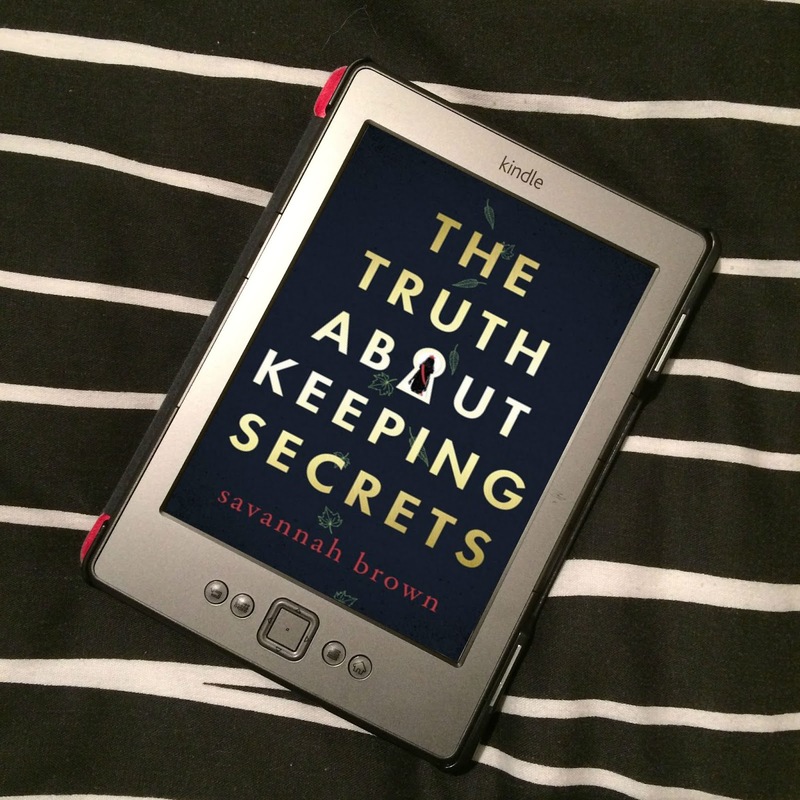 So I snapped it up along with the sequel! Looking forward to them! I now have a lovely finished copy! Happy happy happy! I loved it! You can read my review here. So I am a pretty happy girl! If anyone is interested in seeing some of the photos from the Blogger Brunch, you can see them on Facebook - need to have added me as a friend though. Wow, great haul! 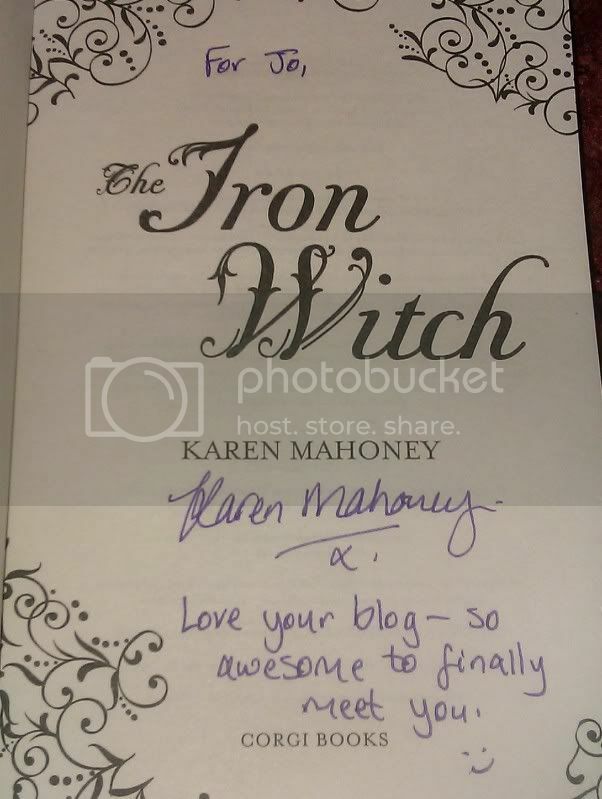 Sounds like you had a lot of fun at RHCB--I'm SO jealous you got to meet the famous Karen Mahoney!! Iffath - Thank you! It was soo good! I'm sure there will be some event posts cropping up sometime soon! :) I know! Karen was so lovely, it was great to finally meet her! The Boyfriend List and The Boy Book are both amazing and while Withering Tights is good, I didn't like it as much as I did the Georgia series. That is an awesome mailbox there! glad you had a great day at RH...sad I never got to go but hopefully meeting a lot of UK bloggers V soon! Wow, it's the UK edition of The Boy Book! I've never seen that before, I've got the US edition. Sophie - Thanks for the tip! I may not try Withering Tights then. But I'mr eally looking forward to The Boyfriend List and The Boy Book! They sound awesome! 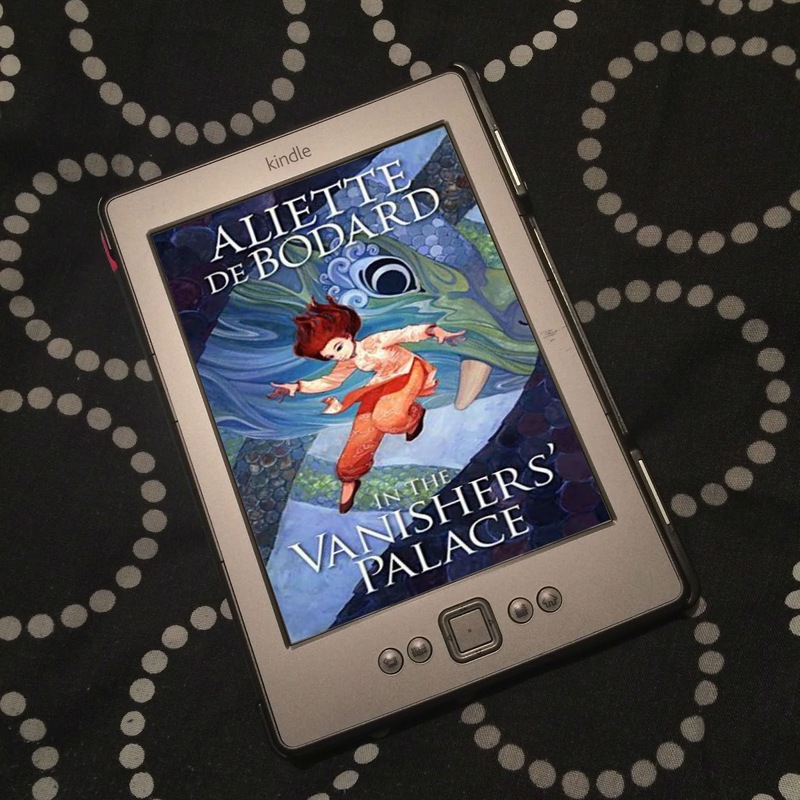 Julianne - When I was linking to Goodreads, I saw the US editions of both books. I much prefer the UK covers, I prefer the style. Emma - It was really great meeting you too! Was such a great event! Dwayne - Likewise! Hope to see you at more events soon, too! They're always great! I know, but I had to be good! My room is being over run with books. For health and safety reasons, I couldn't take too many more! Thank you! The Slowest Bookworm - Isn't it just awesome? Thank you! Great books you got this week. The Iron Witch is one I really want to read. I hope you enjoy reading all your books. What a fantastic haul. 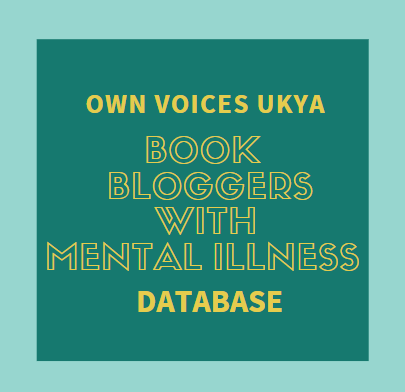 How lovely that the author loves your blog. What a fantastic compliment. Enjoy your new books. Great books for you this week! I really want to go grab a copy of The Iron Witch. I'm really excited for that one! I look forward to your reviews of these. Here is what I got this week. Happy reading! Looks like some good ones you got!! I hope that you enjoy them!! Jenny - Thank you! The Iron Witch looks so good, I'm really excited to read it, too! I hope I write positive reviews for you! 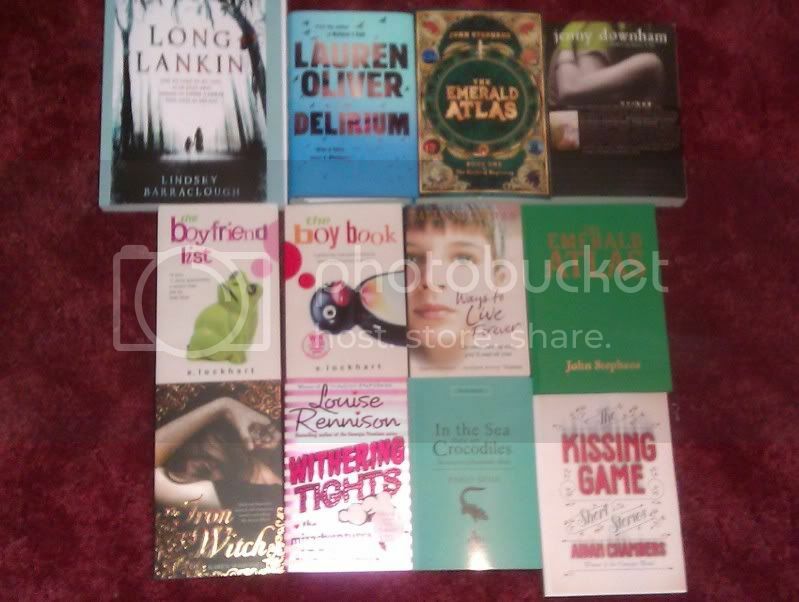 What a bunch of fantastic books. I found Withering Tights to be slightly less funny/crazy as the Georgia books. If you didn't like Georgia, I'm not sure how much you'll like Talullah.. The Ruby Oliver books though! They're amazing! I just finished the third book in the series and OHMYGOD, how much do I love Roo? Karen - Thanks for stopping by! Ink and Paper was originally on LJ, til I found I could do more with Blogger. :) It was great meeting you too! I'm also looking forward to the virtual panel event! Michelle - I think I'll steer clear of Withering Tights; from what I've heard, it doesn't sound like my cup of tea. Cheers for the heads up! Oooooooh! I'm seriously excited to read the E. Lockhart books now! :) Thanks!